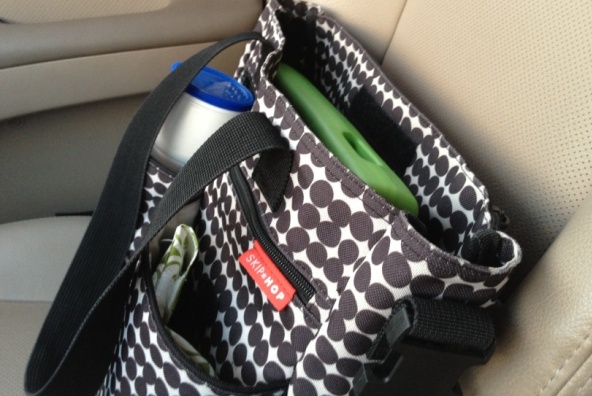 Diaper Bag or iPad Tote? Going out to eat with a 17 month old is not fun. She usually wants to eat right away, so somewhere between placing our order and receiving adult food, she has already finished her meal and wants out of her high chair…immediately. One of us winds up walking her around, outside the restaurant while the other one eats alone. It’s a pretty sad scene. Posted on November 7, 2011, in 17 months, photo and tagged diaper bag, iPad. Bookmark the permalink. Leave a comment.